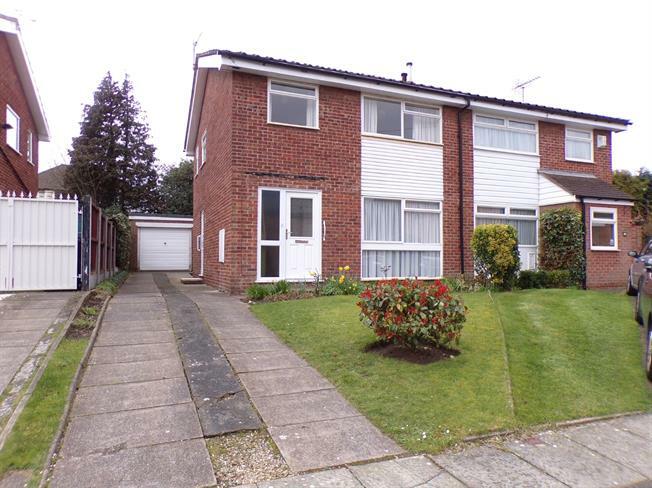 3 Bedroom Semi Detached House For Sale in Liverpool for Asking Price £230,000. Entwistle Green are pleased to bring to the market this three bedroom semi detached house located in the popular residential area of Childwall, L16. The property is situated on a quiet cul-de-sac location, making this an ideal location for families. There are many local amenities, including, good local schools, shops, pubs and frequent public transport links. The ground floor of the property comprises of a hallway, open plan lounge/dining room and a kitchen. To the first floor, there are three bedrooms; two doubles and one single, bathroom and separate WC. Externally, there is a detached garage, off street parking to the front of the property and front and rear gardens to the property.